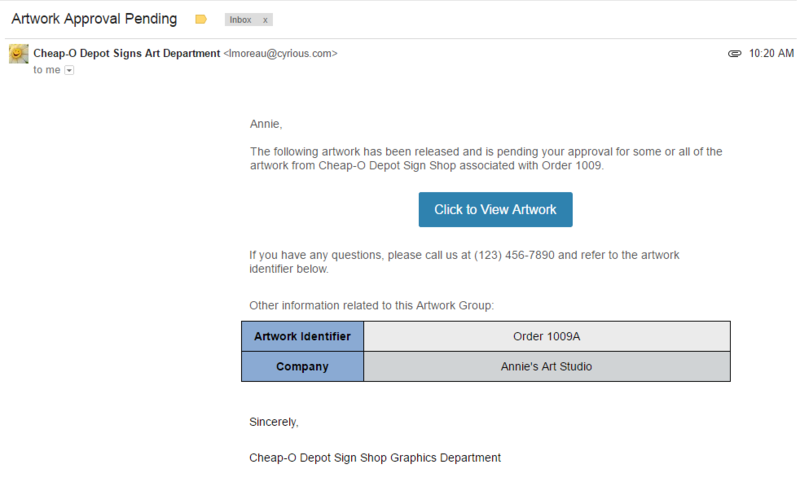 Artwork Approval includes new emails that are automatically sent when the artwork status changes. 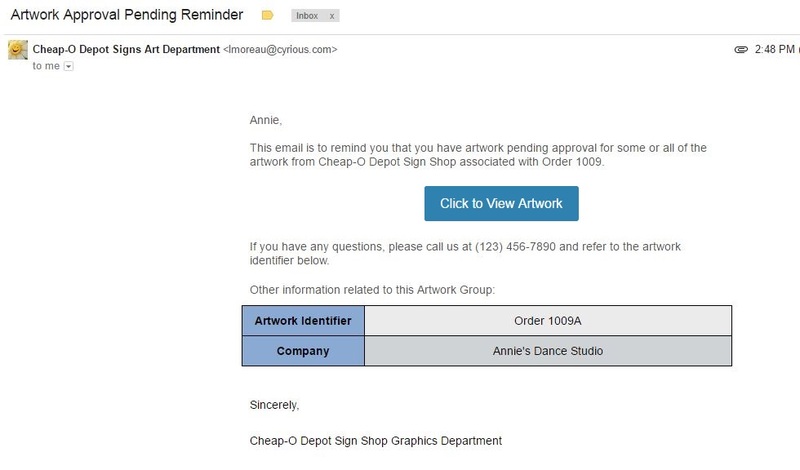 The emails are sent by CHAPI and use the artwork_approval_setup, not the setting of the individual user. 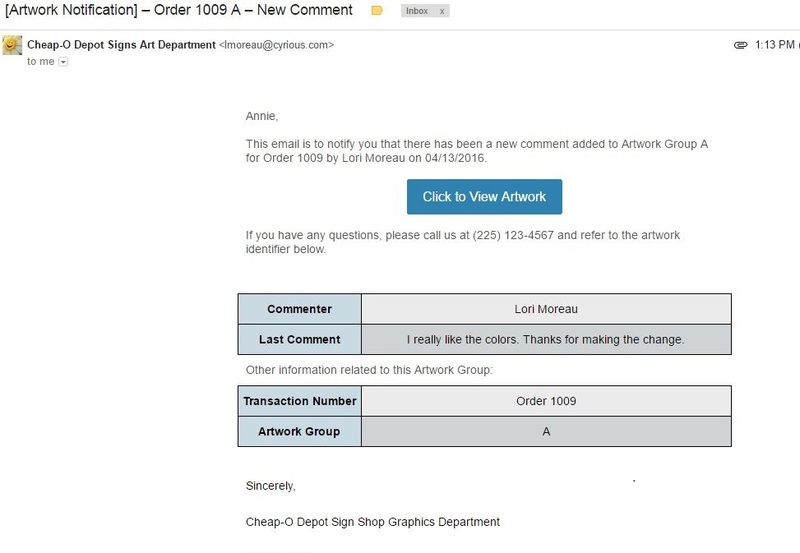 Artwork group comment notifications are sent to all roles when a new comment is added to the group. The notification emails used for customers will need to be more highly tailored based on the purpose. 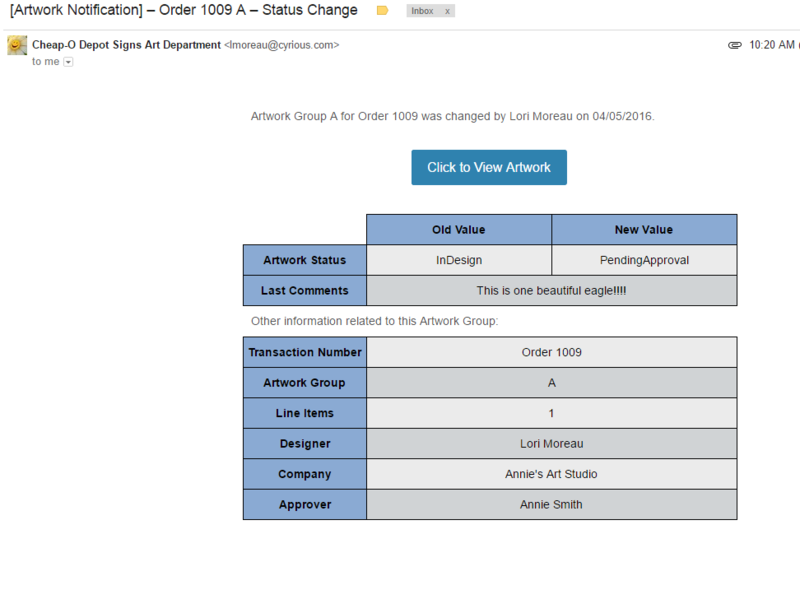 This template is used for emailing the customer approver(s) when the Artwork Group is pending approval. By default, reminders are sent out at 24, 72 (3 days), and 168 hours (1 week). 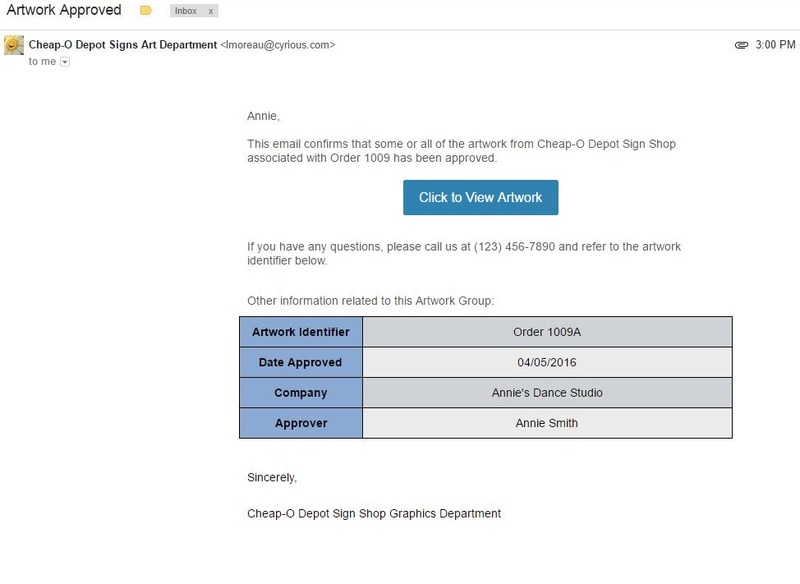 This template is used for emailing all contacts and subscribers when the Artwork Group was approved (or a choice made) by a customer approver.